Are your VW's leather seats starting to look like this? Volkswagen: The people's automobile. You use it day in and day out, and it excels as both a daily driver and a road-trip vessel. You've put in the miles, taken care of it, and it has taken care of you. However, all those daily commutes, stop-light shuffles, and trips to the store have taken a toll on your seats. The cloth wears down and rips, the leather starts to crack and thin, and next thing you know there's stuffing on the floor. If this happens, there are a few solutions out there to restore your seats and give them the fresh look they had when you first bought your VW. You could always go the route of ordering new upholstery to replace the factory cloth or leather. Fair warning, this option isn't cheap. Replacing the leather seats in a Routan, for example, is over $1300. Cloth options are more affordable, but OEM-quality replacements could still cost upwards of $300. Then there's also factoring in installation costs or time to do it yourself. If you live in a larger city, chances are there's an upholstery shop in your area that will have no problem replacing your upholstery whether it's leather or cloth. While professional installation is a welcome thought, prices can range. Some shops will repair or reupholster a seat for as little as $75, while others won't touch a car unless it involves at least $2500 worth of work. 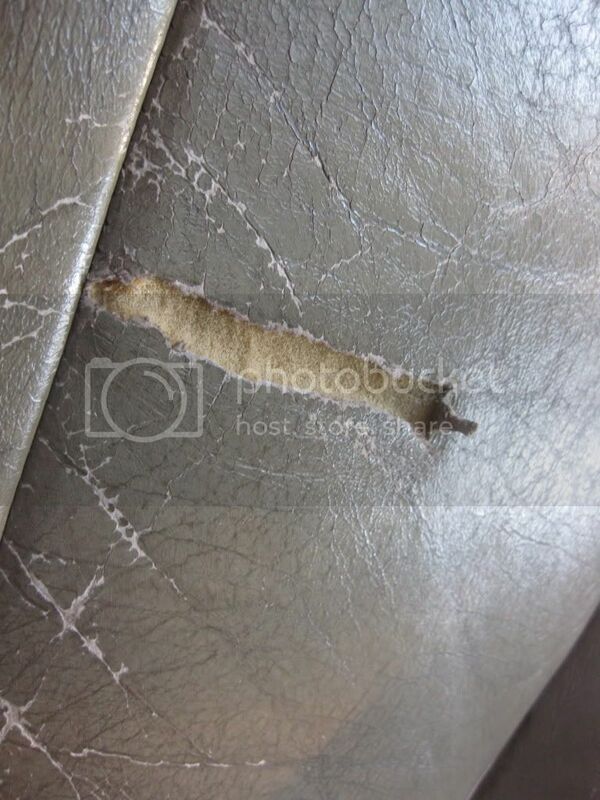 Repairing or re-upholstering a seat has another problem - the repaired or re-upholstered seat doesn't always look the same as the rest of the seats in the vehicle. While the difference isn't typically big, it can be hard to match the look of a seat with a few years of sun damage and color fade. Upholsterers have some tricks for matching faded cloth or leather, but you will be able to tell if a seat has been repaired or re-upholstered. It's cheaper. An OEM seat cover like this one for a Jetta's rear seats is only $83. It looks great. As a genuine OEM part, our seat covers fit perfectly. It makes the most sense. Nothing against your VW, but if the upholstery is coming undone, it's probably getting up there in age. Investing in some seat covers makes the most financial sense. Are you ready to nab some seat covers? VWPartsVortex.com (ahem) has affordable options for many VW models. If you have any questions, please give us a call - we're happy to help you find seat covers for your VW!